E-cigs are very popular nowadays because it still gives nicotine that satisfies cigarette cravings but without the cancer causing properties and chemicals brought by tobacco! Aside from the nicotine, users also enjoy e-cigs because of the availability of liquid with varying flavors! Thus, not only will you get great taste, but you also get big clouds of vapor which has the subtle awesome smell of whatever flavor you choose. As to getting satisfying flavors, one can choose between using cartridges and liquid for e-cigarettes. While cartridges are a lot easier to use and best for beginners, most experienced users choose e-liquids for more options. With E-liquids, you can use any brand to fill your tank system. It also means you can choose from a wide variety of unique flavors and nicotine strength. Nicmaxx currently offers free shipping on orders over $75! If you want to try out our traditional e-liquid flavors, now is the perfect time! The taste and smell of e-cig vapor liquids are what set apart one brand from another. With their sweet smell and awesome flavor, it's easy to understand why smokers get hooked! Today, there are a whole lot of unique flavors to choose from such as popcorn, cherry, raspberry, and even bubble gum! With our awesome flavors, we hope to encourage more people to quit smoking altogether and switch to vaping. Vaping is believed to be a great alternative to traditional smoking anyway. Furthermore, while vaping itself has no proven benefit to oral health yet, the tobacco smoking cessation alone reduces the potential oral diseases you could get. If you want to make sure you didn't develop these oral diseases yet, ask our favorite Doctor: Dr. Ryoo of Ryoo Dental as he is known to be very dedicated to providing patients optimal dental care! More and more people are turning towards vaping and e-cigarettes because of the health risks associated with traditional cigarettes . While E-cigarettes still use nicotine, the formula of the cigarette e-liquid tends to be less harmful. These are horrible substances compared to what is contained in an e-liquid such as Propylene Glycol, Vegetable Glycerin, Nicotine and food-grade flavoring ingredients. If you're now convinced and are looking for an excellent unit to get you started, check out NICMAXX! We have disposable units priced at $9.95 so you can try each flavor and find out which one best suits you. But when you've tried everything and still want the classics, remember that we have e-cigarette liquid refills flavored Menthol and Classic Tobacco that smells and taste like the real thing! 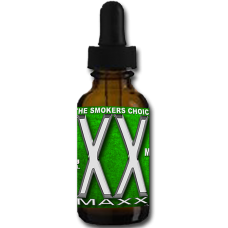 See why 9/10 smokers who tried NICMAXX prefer our flavors. Get NICMAXX E-liquids today and enjoy FREE shipping on orders $75 and above.